Amano CP3000 Ribbon in original manufacturers box. Same Day Shipping USA and Canada. 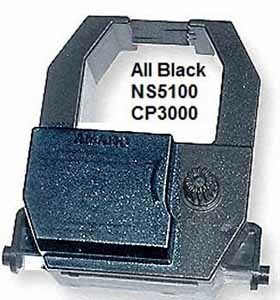 CP3000 Factory Cartridge Ribbon Black. No other ribbon will work in that machine, but they will "fit." This is also the correct ribbon for the Amano NS5100. The NS5100 will use a PIX ribbon in a pinch, but they last 1/4 as long as the factory one with the ink reservor.